London-based Astrazeneca is a global innovation-driven biopharmaceutical company focusing on the R&D, manufacturing and distribution of medicines. The company operates in more than 100 countries and plays an influential role in the medical industry across the world. In 1993, it stepped into the Chinese market and has been meeting the domestic medical demands through constant efforts in scientific and technological R&D and excellent executive ability, trying to transform the lives of the patients. 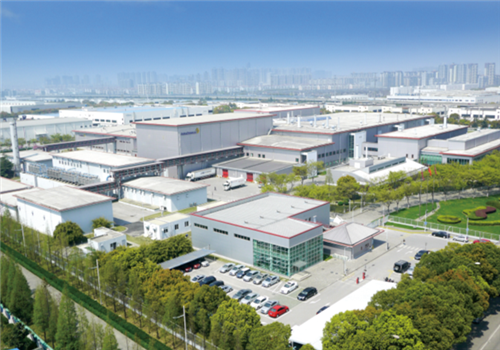 In April 2001, the Astrazeneca Wuxi Supply Base was officially launched in Jiangsu Wuxi High-tech Industry Development Zone, with a total investment of $200 million and a registered capital of $71.20 million. The base covers an area of 96,000 square meters and its building area is 58,000 square meters. It is dedicated to operate with high ethics and quality and to manufacture and deliver healthcare products in such areas as cardiovascular disease, digestive disease, oncology, respiratory, neuroscience and anti-infection.